Back in 2006, the Marvel Universe's USA started requiring superheroes to register with the government. That plan didn't go over too well, leading to a Civil War between superheroes. But the idea of registering as a superhero is cool. 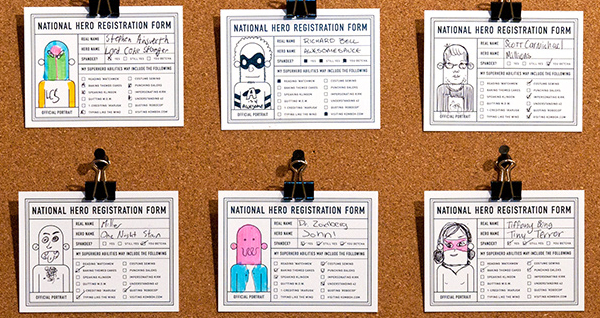 Now you too can register yourself as a superhero with this downloadable National Hero Registration Form, created by Michael Mateyko of the creative firm Komboh. 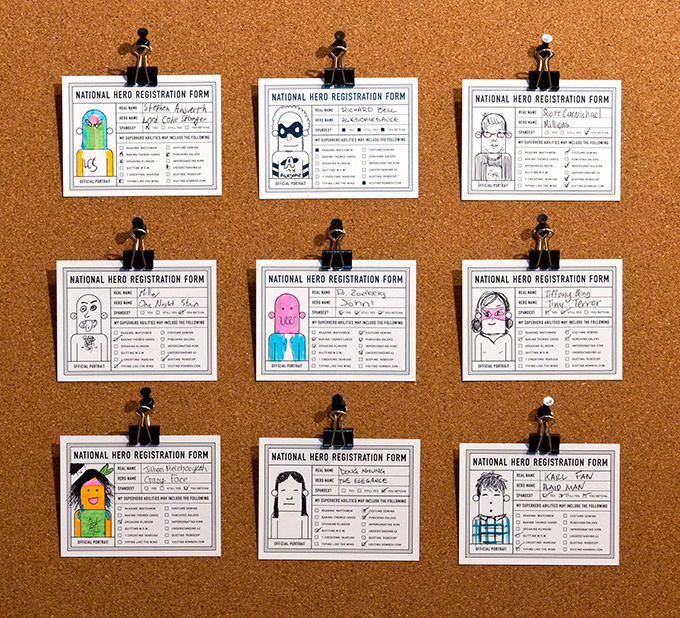 Feel free to turn it in at any superhero registration booth or post office near you. Or just hang it on your wall. Personally, I would white out the powers listed and put in ones like flight, strength, invisibility...you know, real ones instead of joke ones. 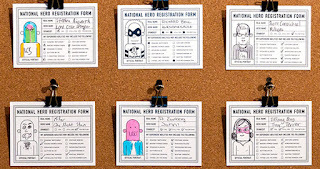 Because superhero registration is serious business. That would be easy - Ninja Captain! I should include this on the next Practical Superheroism.